Experienced clinical engineering leader Thomas Borowiak has been named director of clinical engineering at St. Peter’s Health Partners (SPHP). In this role, Borowiak is responsible for all aspects of clinical engineering at SPHP locations. Borowiak has more than 20 years of technical and leadership experience in health care and biomedical services, including extensive experience leading teams at large hospitals. He joins SPHP from Albany Medical Center, where he served since 2015 as clinical technology director. Prior to that, from 2010 to 2015, he was director of clinical engineering at St. Joseph Mercy Health System, where his responsibilities included leading the clinical engineering program at the system’s 530-bed facility in Ann Arbor, Michigan. From 2003 to 2010, he served as manager of clinical engineering at St. John Providence Health in Michigan. 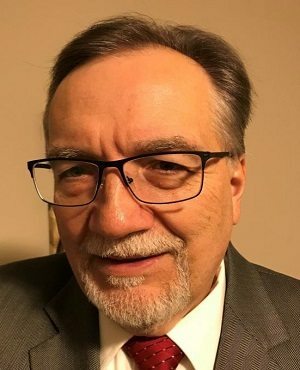 Borowiak received a master’s degree in business and technology management from Walsh College in Troy, Michigan, and a bachelor’s degree in business administration from the University of Detroit. With nearly 12,500 employees in more than 170 locations, SPHP is the Capital Region’s largest and most comprehensive not-for-profit integrated health care network, which provides high-quality, compassionate, and sophisticated care to thousands of people every day. SPHP and St. Joseph Mercy Health System are both members of Trinity Health, one of the nation’s largest Catholic health systems.